Whether you're a seasoned arsonist or a novice firestarter, Little Inferno is still worth checking out even years after its original release. On paper, Little Inferno can come across as a tough sell. In a nutshell, the game revolves around planting yourself in front of a fireplace, ordering objects from a catalog, throwing them in said fireplace, then lighting them ablaze. With plenty of games releasing every week, it’s hard enough to stand out from the crowd, and Little Inferno doesn’t try to compromise its vision by appealing to the lowest common denominator. Perhaps that’s why I have such respect for it, and its developers, Tomorrow Corporation. With some of the development team having also worked on the excellent World of Goo, it’s easy to point out the similarities between the two titles. While they are vastly different when it comes to the minute-to-minute gameplay, both titles sport similar art styles and attempt to convey a specific message or meaning, which will usually leave players with something to think about long after the credits have rolled. Deeper meanings aside, it’s important to note that while the core gameplay loop of Little Inferno never changes throughout the few hours it takes to complete, the developers have done an excellent job at keeping things interesting throughout. The game kicks off with you receiving the newest addition to your home: The Little Inferno Entertainment Fireplace. After perusing an introductory letter included with your new fire maker, you’re prompted to toss it into the fireplace and watch it burn. This marks the start of your arson adventure, as you’re soon provided with a catalog, offering up a handful of everyday items to order, and in turn, burn. This might sound boring, but it’s the entire audiovisual experience accompanying the “buy and burn” cycle that makes it endlessly entertaining to unleash your little fire starter. The sound of ordering is accompanied by an almost cliché cash register ka-ching, and perusing the mail-order catalog is accompanied by a never-ending loop of whimsical muzak. When you switch back to sitting in front of the fireplace, the warm sound of a crackling fire fills the air, as you watch the flames dance around on screen. 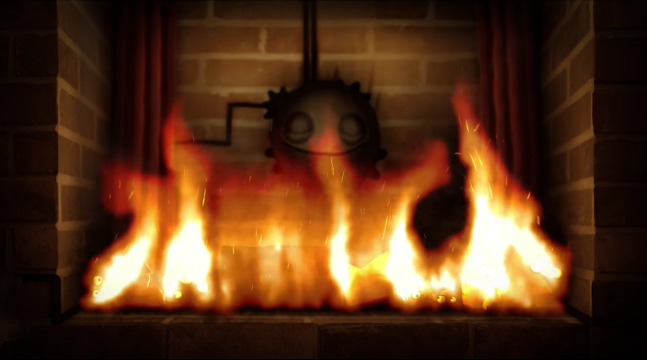 As someone who grew up with a fireplace, I have a soft spot in my heart for cozy fireplaces in games (a weird thing to have a soft spot for, I know), and as a result, Little Inferno won me over a few minutes in. When it comes to the mail-order catalog, you’ll need to have some cash if you want to order more items, and this is where the fireplace comes into play. By burning objects that you obtain in the mail, you’ll be able to collect coins from the leftover ashes, which you can then use to order more objects. Of course, after a little bit, you’ll run through most of the items in the catalog (each with their own burn patterns), and you’ll begin to focus on unlocking new combos. You see, each catalog comes with a list of combos, tasking you with burning specific objects together in order to cross each potential combo off your list. The combos themselves don’t tell you exactly what to burn, but rather provide hints with their names. For example, the “Time Bomb” combo requires you to burn an alarm clock and mini nuke in tandem, while combining sushi and a toy ninja in the fireplace will unlock the “Japanese Combo.” By unlocking more combos, you’ll in turn gain access to new catalogs (filled with new items to order), along with correspondence from both the company that builds the Little Inferno Entertainment Fireplace, and another mysterious character. By unlocking all of the game’s catalogs, you can eventually unlock the game’s ending sequence, which I won’t dare spoil here. Fans of Tomorrow Corporation already know that Little Inferno released back in 2012 (as a Wii U launch title), though its newly-released Nintendo Switch port comes with a few worthwhile additions. Aside from pointer controls that allow you to play while your Switch is docked, you’re also able to take Little Inferno on the go, as you can use touch screen controls to play through the entire game. There’s also the option to play the game in co-op, which is infinitely more fun than simply relegating your close family and friends to simply sitting by while you control all the action. While there are a few frame rate drops when you burn multiple items at once, the game looks sharp when playing docked or undocked, and the pointer controls work well despite the Switch’s lack of a sensor bar. 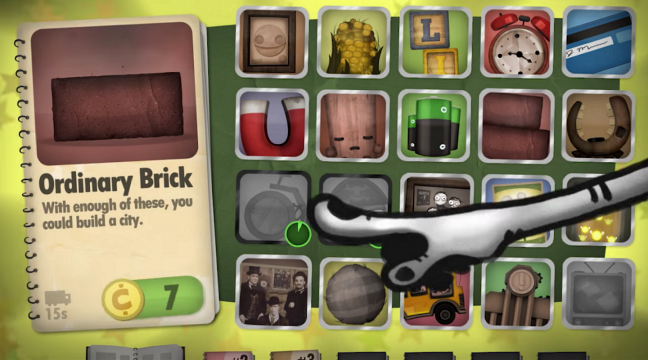 Even if you burned down the house years ago while playing Little Inferno, you might want to consider picking it up for the Switch, as the flexible play modes and the addition of co-op play well to the Switch’s focus on local multiplayer and the ability to play on the go. If you haven’t had the chance to unleash your inner fire yet, you’d be crazy to not give it a go, as it’s one of the most interesting games available on the Switch. This review was based on the Nintendo Switch version of the game, which we were provided with for review.